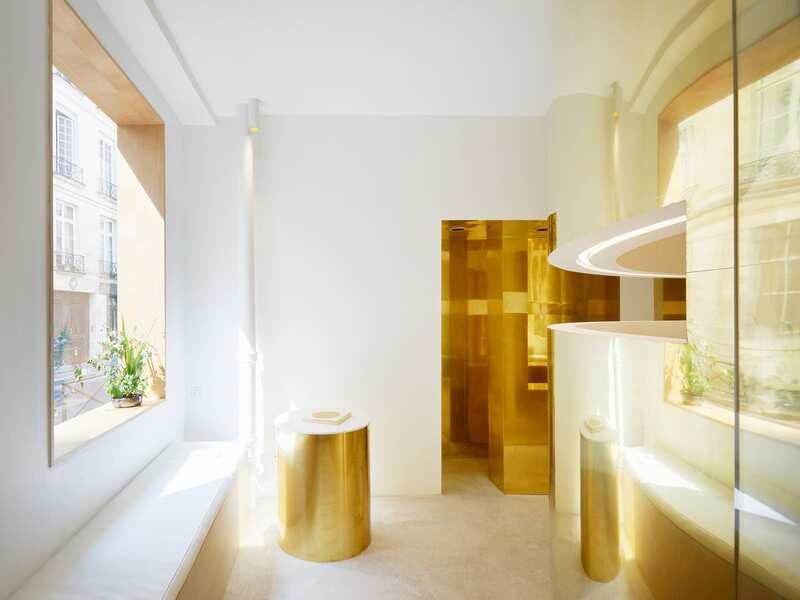 Parisian studio ARCHIEE have designed the first boutique of Japanese beauty brand en. ARCHIEE took lead from the Japanese translations of ‘en’, meaning ‘beauty’, ‘circle’, and ‘connection’, using the three concepts to inform the design. 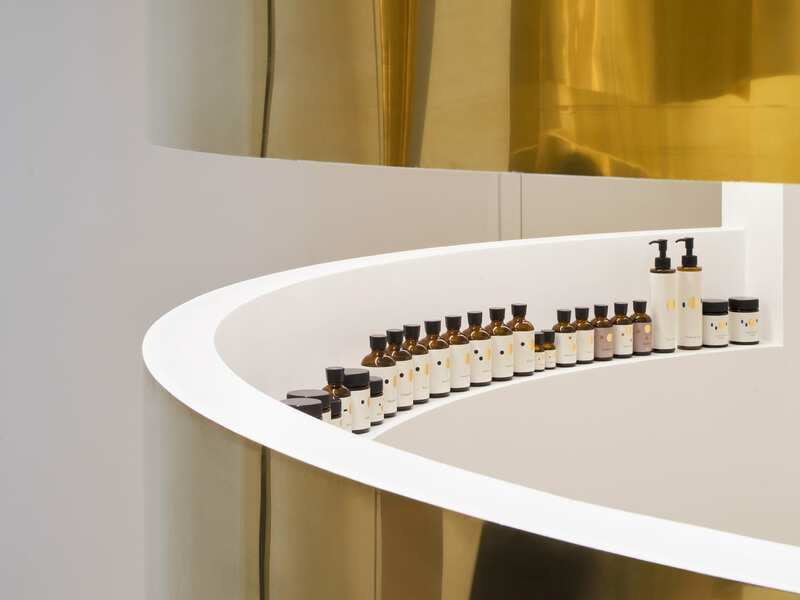 Based on the idea of creating your own personalised cosmetics, en customers can mix their own products from over 100 various oils and essences stocked in-store. The concept taps into the current trend of empowering consumers, by knowing exactly what goes into what they buy and apply to their skin. The store takes the personal touch a step further by offering treatments, massages, and even counseling sessions. The site has prime Parisian location, in the 6th arrondissement steps from the Jardin de Luxembourg. 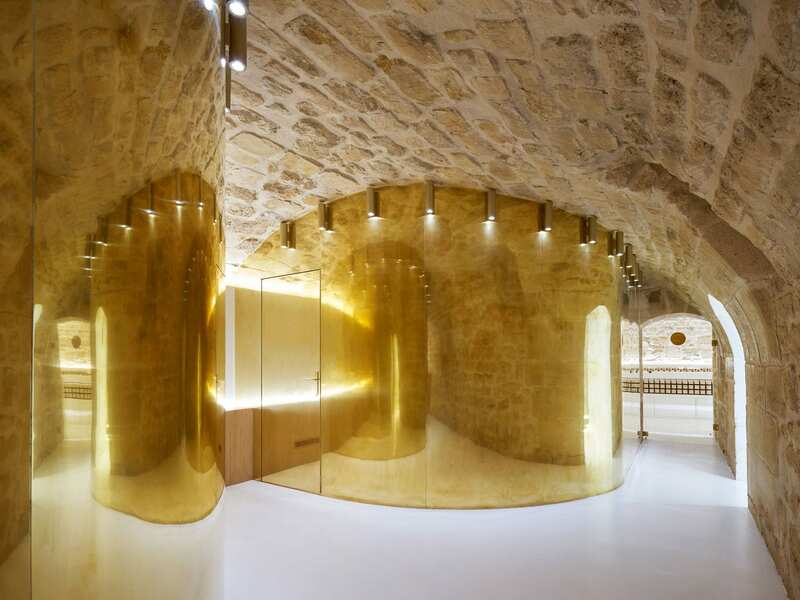 ARCHIEE preserved most of the existing structure of the 18th-century building, adding a series of circular partitions across four rooms and two levels to gently define the various functions of the space. This leans into the Japanese hospitality principal of discovery; patrons must wind through the store to find each treatment area, rather than walking into an obvious open-plan. The unusual geometric forms serve to spark curiosity in the customer, enchanting them to delve deeper into the store. 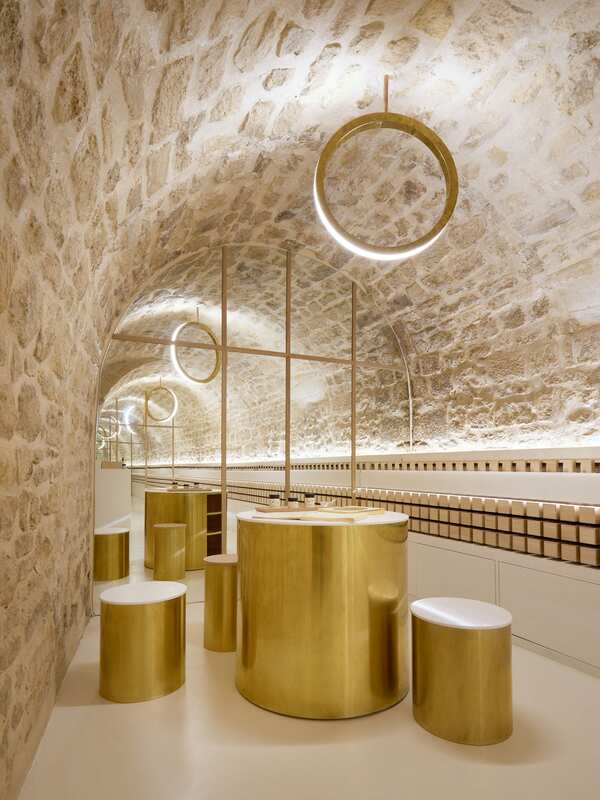 ARCHIEE evoked the concept of ‘beauty’ by choosing golden polished brass for the circular partitions and accent pieces throughout the store, manifesting a mind-blowing shiny oasis. Natural light from two generous street-facing windows cast warm, glowing reflections throughout the space. Each gold object has a white surface or interior, expressing the purity of the brand and bringing a lightness to counteract the glitz. 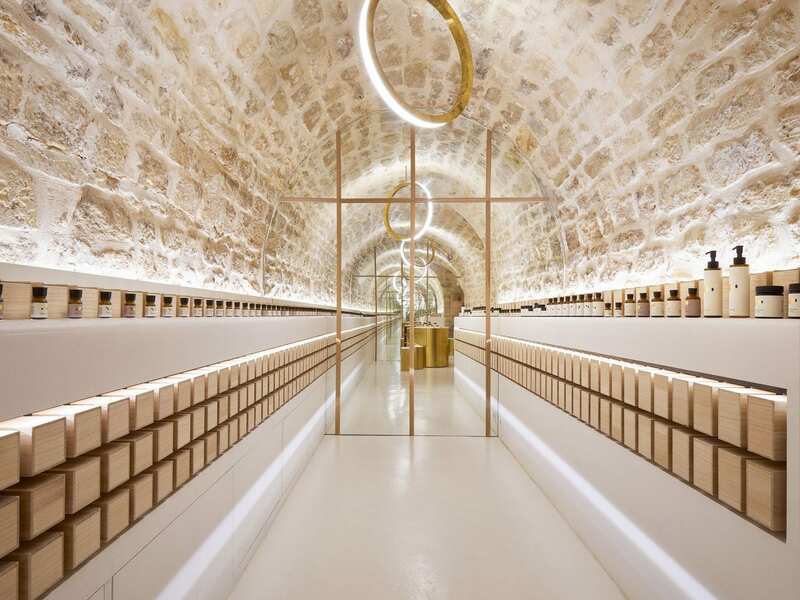 The post EN Japanese Cosmetic Brand Boutique in Paris by ARCHIEE. appeared first on Yellowtrace.